A premium compact sport-utility vehicle can have one of two images. Either it’s going to be on the cushy-riding side with a capable but not-quite-thrilling personality or it’s going to have a more sporting character that growls more than it purrs. The Jaguar F-Pace seems to be in the latter camp. Low-profile “Gloss Black” roof rails are a $350 option. 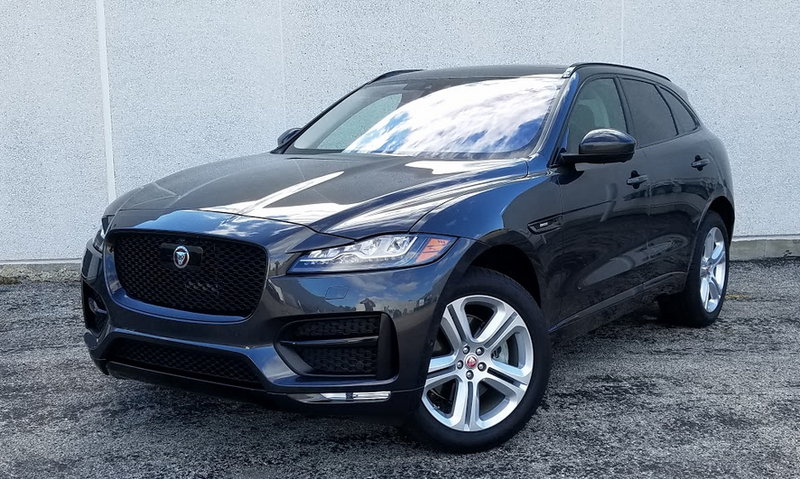 Jaguar’s first-ever SUV is a 5-passenger crossover that emphasizes the brand’s sporty attributes—especially with a supercharged V6 in the engine bay—while making it possible to carry a lot of cargo and handle off-pavement or inclement-weather situations. Standard all-wheel drive starts by powering the rear wheels—like many a high-performance vehicle—but directs power to the front wheels when extra traction is needed. Plus, Jaguar claims the vehicle’s styling was influenced by the F-TYPE sports car, so the light in which the manufacturer would like the F-Pace to be seen is pretty clear. F-Pace is reasonably roomy for a compact crossover. Rear-seat space is compromised when taller occupants sit in the front row. 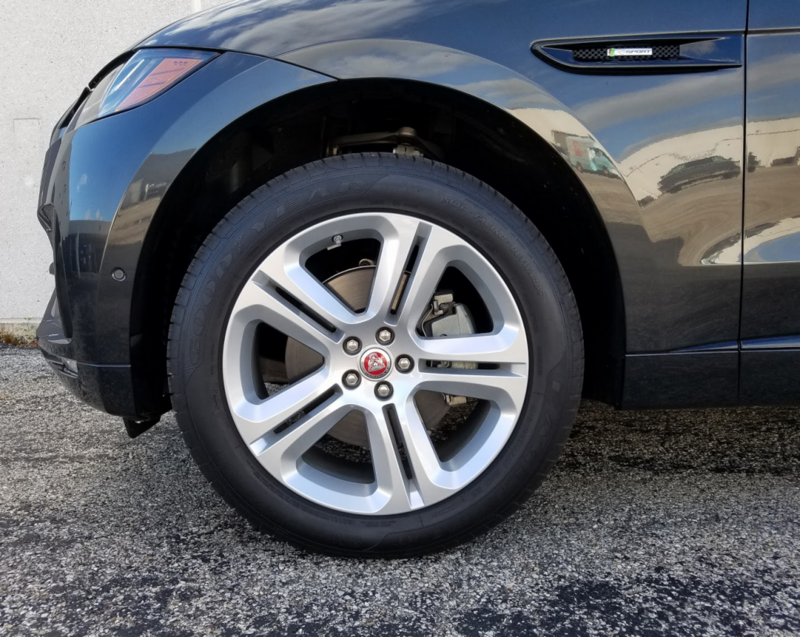 As an offshoot of the platform created for the new-for-2017 XE compact sedan, the F-Pace uses an aluminum-intensive body structure to trim weight in pursuit of better fuel economy and driving dynamics. Powerteams are straight out of the current Jaguar playbook, as are the available technology and convenience features—though the debut F-Pace does have one little surprise of its own. Like other Jaguars, F-Pace uses a rotary dial for gear selection instead of a traditional fore/aft shifter. 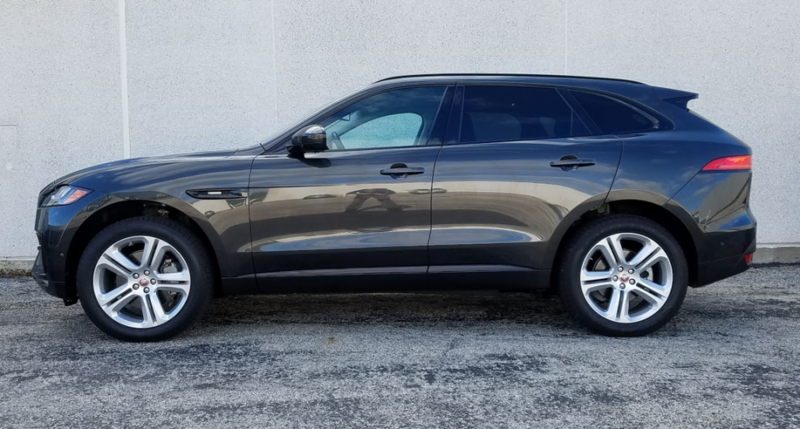 Consumer Guide® put some test miles on one of the higher-end F-Pace models, a 35t R-Sport with a 340-horsepower blown 3.0-liter V6 and 8-speed automatic transmission. 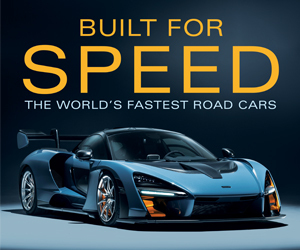 (A 380-horse variant of this powerplant is provided in S and costly First Edition models, while cheaper 20d-series offerings list a new 180-horsepower turbodiesel 2.0-liter 4-cylinder.) Other standard fare included in the $55,300 starting price runs to “All Surface Progress Control” (a low-speed cruise control for use in reduced-traction conditions), brake-enabled torque vectoring, leather upholstery, heated 14-way-adjustable front seats (with memory function for the driver’s seat), 60/40 folding rear seat, heated steering wheel, keyless entry and starting, panoramic moonroof, LED headlamps with automatic high-beam control, rearview camera, blind-spot monitor, lane-keeping assist, rear cross-traffic alert, automatic emergency braking, InControl Touch infotainment and smartphone-connectivity system, navigation, and Meridian sound system. R-Sport appearance features include specific 20-inch alloy wheels and a body kit with recontoured front and rear bumper covers, body-color rocker-panel cladding, and grained black lower-body and bumper inserts. The supercharged V6 is an eager performer that is ready to jump off the line or pass with authority—and a pleasing hint of an exhaust burble. Standard “JaguarDrive” modifies throttle response and steering feel, and with the “Dynamic” setting dialed up, action is a little quicker. EPA fuel-economy estimates for the 340-horsepower V6 are 18 mpg in city driving, 23 mpg on the highway, and 20 combined. 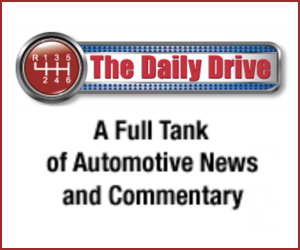 With JaguarDrive most often in the “Normal” setting and the automatic stop/start feature in effect much of the time, this reviewer saw 18.5 mpg from a test stint of 114.9 miles, 62 percent of it in city-style driving. There’s a generous amount of space in the F-Pace’s cargo hold, even with the 2nd-row seat backs in place. As you would expect from any compact SUV worth its salt, the F-Pace is quite maneuverable, a boon in confined areas like parking lots. Nicely responsive steering gets even better in Dynamic mode. Ride can be a little choppy, but while stouter bumps may register at the seat of a passenger’s pants, they don’t seem to rattle the tight body structure. Brakes are quick and predictable. Sitting in the F-Pace reminded this driver of his time in the XE sedan in terms of room, seat comfort, and ambience. Legroom is better in front than in back but two adults will fit in back without being cramped if front passengers don’t have to track all the way back. Headroom is ample in both rows. The interior has compressible soft-touch surfaces on the dash and a substantial portion of each door panel. Twenty-inch alloy wheels come standard on R-Sport models. The two new small Jags share an instrument panel and console, so controls and cabin storage are similar. To recap, there’s a vehicle-information display between the speedometer and tachometer dials that can be scrolled by thumb buttons on the steering wheel. 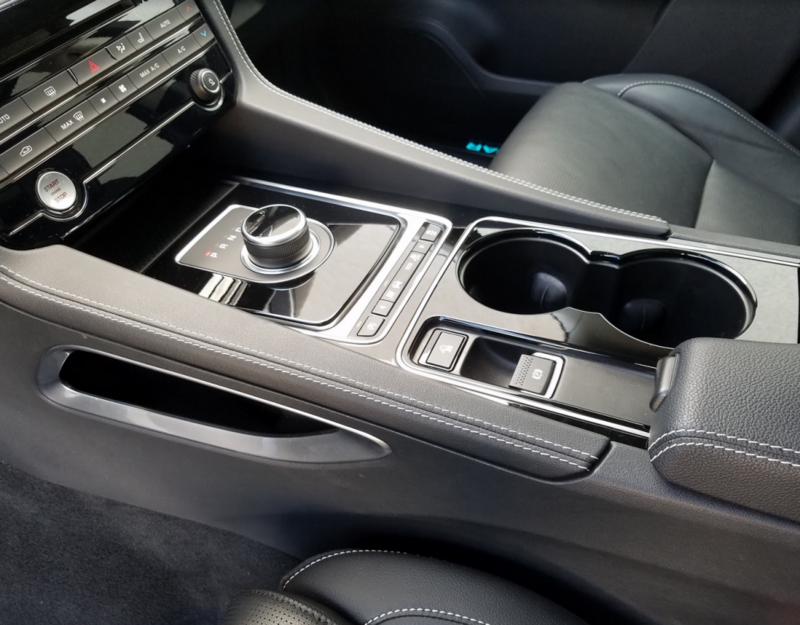 Audio, navigation, and other functions show up on a touchscreen (eight inches standard, 10.2 inches with the $3200 Technology Package option) that presents clear choices. Climate-system management is handled by a double row of push buttons below the touchscreen. The good-sized glove box is offset by the limited capacity of the console box, which houses auxiliary and USB ports, a card slot for the navigation system, and a power point. Map pockets in the doors are slightly larger in front than they are in the rear. Net pouches are attached to the backs of the front seats. Two exposed cup holders in the console serve front passengers while two more in the pull-down center armrest accommodate rear-seaters. One interesting feature unique to the F-Pace (at least for 2017) is the optional Activity Key. This $400 waterproof wristband allows the driver to lock the vehicle with the key left securely inside while he or she participates in activities that might make carrying the fob problematic. Having worn the band for about 90 minutes, this driver can attest that it is no more obtrusive than a wristwatch or Fitbit. Once leaving or returning to the vehicle, the user has 30 seconds to touch the band to a spot on the tailgate in order to lock or unlock the doors, and the locking process also disarms the main key fob, so it’s not being left behind to make thieves’ lives easier. Rear cargo capacity is generous, and load height through the wide power liftgate isn’t inordinately high. 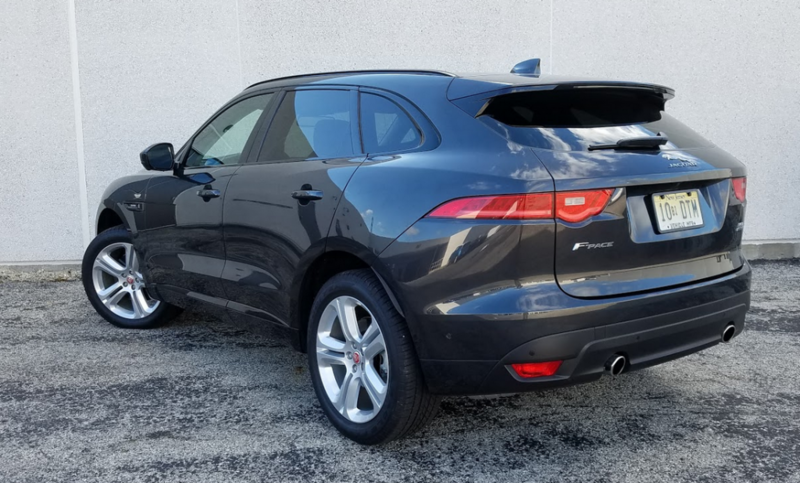 With the Comfort and Convenience Package, the F-Pace gets a “gesture” tailgate that allows the driver to wave a foot under the rear bumper to activate the liftgate. The cargo floor mat is reversible, with a carpeted side and a rubberized side for dirtier jobs. Rear seats easily fold flat to create a very large cargo floor. The biggest downside to the F-Pace might be cost. Stacked with four-figures option packages and Storm Grey premium paint ($1500), the test vehicle came to a fully delivered price of $70,735—a tab hardly as compact as its dimensions. However, even in the mid $50,000s, it’s still got performance to face the likes of athletic small SUVS like the Porsche Macan, Audi SQ5, or Mercedes-Benz GLA45 AMG. F-Pace competes for shoppers in an increasingly crowded segment. Shoppers will likely have the Audi Q3, BMW X3, Mercedes-Benz GLC, and Lexus NX on their shopping lists. Written by: The Daily Drive staff on November 10, 2016.on March 22, 2019.